Since we’ve had children I’ve discovered that usually I’m ready to go back to bed before I even really get to work to start the day. Getting kids – and myself – up, dressed, ready, making lunches, fighting the traffic to get to school, then all that’s involved in dropping off and being actively involved in the life of our Oakland public school, wipes me out. As I get to work, I then walk my dog (who works with me) before finally settling in. It’s in that moment that I often need a sanctuary – a space to catch my breath breath deep, and recharge. I start the day usually with a walk around the neighborhood I call one of my homes. For the past four years that’s been in and around Rockridge, before that it was in the Oakland’s Dimond and Laurel Districts. I’ve seen many things in those walks – met homeless folks, discovered hidden Chinese restaurants, been nearly hit by many cars (and increasingly bikes), and glimpse easily over-looked treasures like sidewalk art, gnomes on poles and individual acts of love and commitment to Oakland. 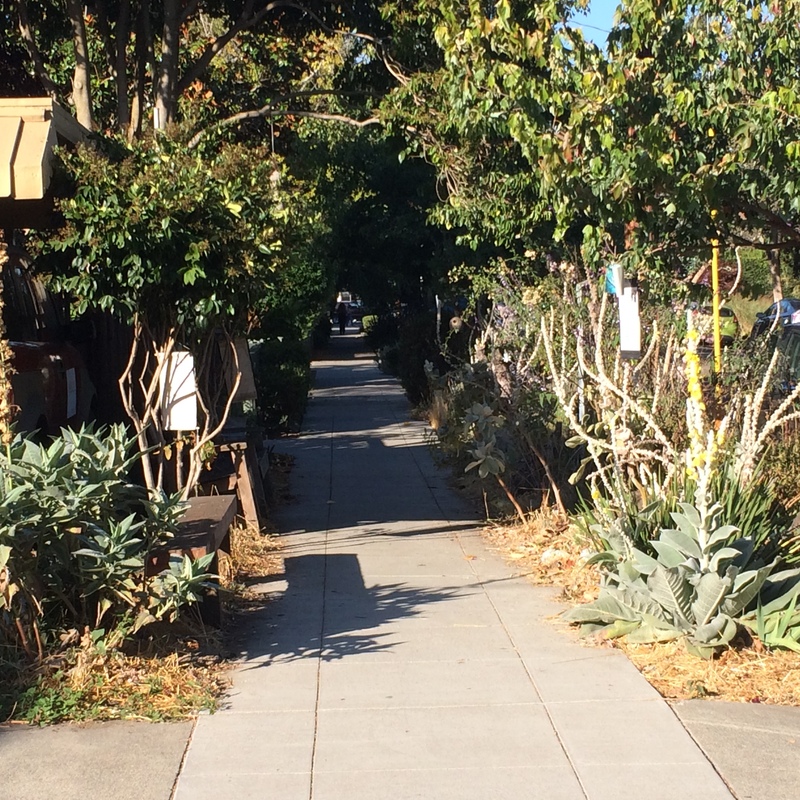 Recently I’ve become aware of a sanctuary space created along the sidewalk on Chabot Road. A tended yard, carefully placed bench and hanging writings by the Dalai Lama are an invitation to stop and just be. I’ve witnessed some people walk through without changing their pace while barking into their cell phone. I’ve caught children in strollers cruising through the space reaching out to touch ribbons or leaves. I myself have sat down, pausing to recenter and refresh myself at what feels like it should be the end of the day, although it’s just the beginning. A bit farther down is a Domincan house chapel, another space of and for sanctuary [St. Albert’s Priory]. Inviting, although encircled with a fence, it has a different feel – one of removal, stepping back to get perspective, quiet in the boisterous brouhaha of the city, an accorded tradition in changing times. I linger there too often on my walks, but not in the same way. Last week after my walk and sanctuary moments, I attended an organizing meeting for local clergy at another form of sanctuary. This one was the sanctuary of Cosmopolitan Baptist Church on 85th Ave. located in the middle of the noise, bustle, and movement of East Oakland. It was an oasis of action and calm, or commitment and engagement with the immediate neighbors and larger city. Each sanctuary space was different, and similar. And yet it’s the garden that I keep thinking of in the past week. Open, free, warm, unfenced, little structured; it feels unique in that it’s given away….the yard still belongs to the owner, the median strip that forms part of it to the city. But there is a different feel in that it doesn’t seem managed, programmed, controlled – it’s been created and given over to those that may use it as sanctuary, or as a pathway, or don’t even notice it. In an age and city in which more residents would share those same feelings, I wonder how we can make our church sanctuaries more like that? 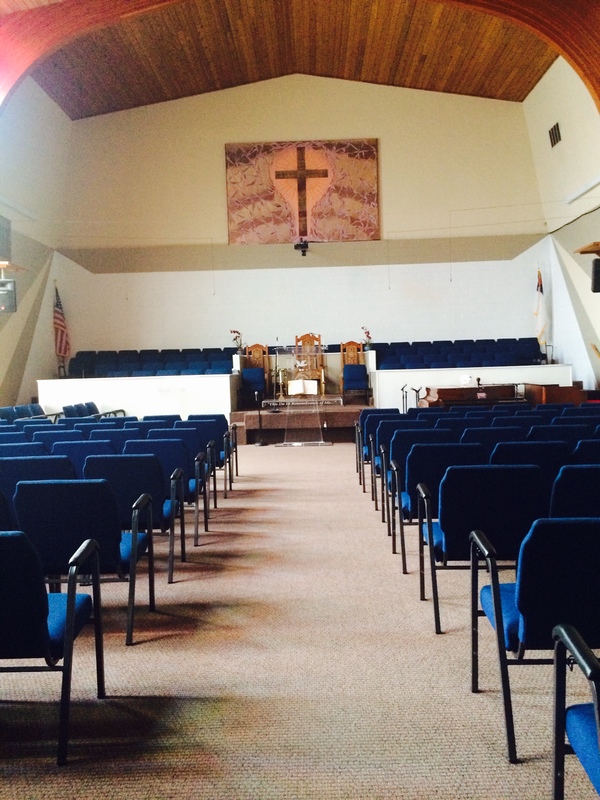 When I open the sanctuary I tend as pastor at lunch for silent prayer, I most commonly get people looking for a bathroom either in their homeless wandering or their cell-phone focused burst of energy. What is it in that garden path that pulls me to participate, to pause, meditate, breath and pray; that I don’t find in the formal sanctuary without first allowing myself to slow down? 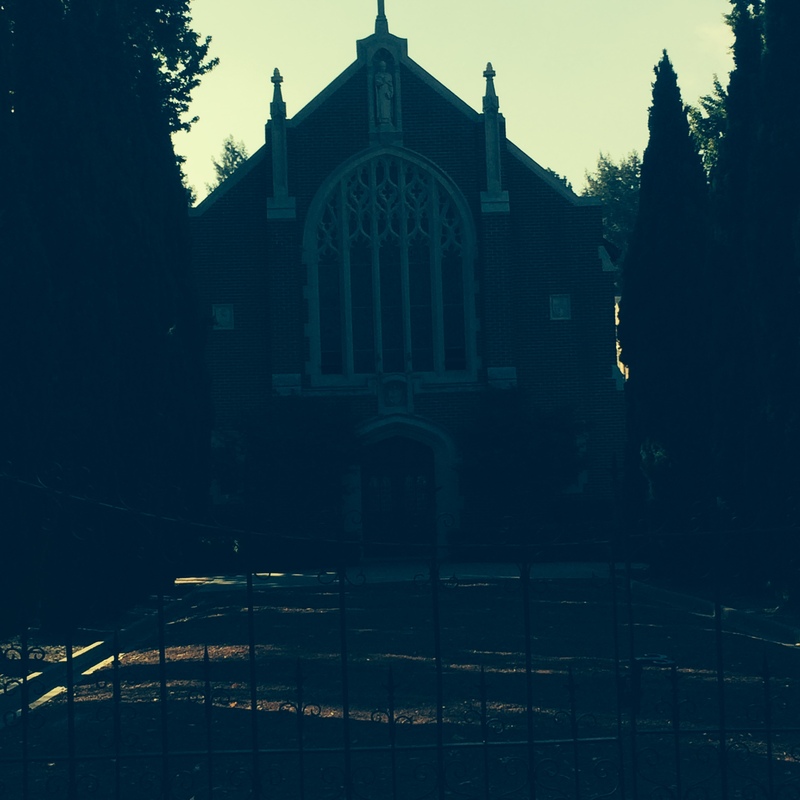 What can we – in the church – learn from such organic sanctuary spaces?